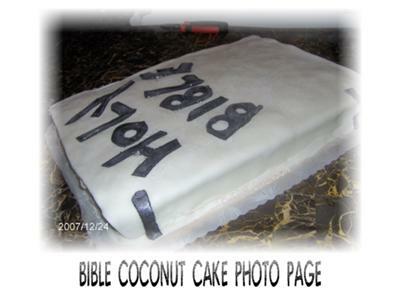 To make this Bible cake, I made two 9x13 coconut cream cakes and filled them with coconut cream. I covered them in coconut cream and then applied white marshmallow fondant over it. I then made black letters and binds out of the black fondant to finish it up.